The benefits of a bedtime routine. Bedtime is my most feared part of the day but a new study shows the benefits of regular bedtime for kids. There is one thing that kids and parents hate equally. 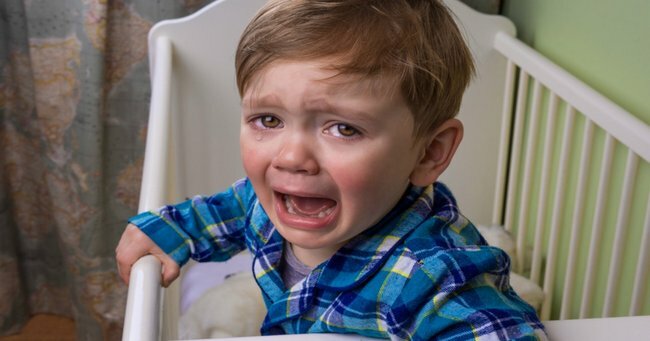 Kids hate it because they are being forcibly parted with their electronic devices and because they can’t be a part of the world of excitement and fun they imagine grown-ups get up to when they are put to bed (it’s just Netflix and wine kiddo) while grown-ups hate it because it is so damn painful. I hate bedtime. Image via IStock. I’ll confess bedtime is my most feared part of the day so I was dismayed to hear just how important it is to keep it regular. In fact, the only part about bedtime I don’t hate is the exercise I get going up and down the stairs over and over and over again. One more glass of water, one more story, one child too cold, another too hot. One says the night light is too bright, the other fears the “monster” under her bed. It’s an ongoing battle that some nights just seems too hard to win. Watch the twins who put themselves to bed... Post continues after video. But according to a new study by the University of Houston, it&apos;s one that perhaps I should fight harder for. In a study of young children researchers found that kids who suffer inadequate or disrupted sleep are far more likely to suffer depression and anxiety as adults. The study found that children found less enjoyment in positive things after just two nights of inadequate sleep. They were less reactive to positive things, and less likely to remember the details of a fun experience. There are monsters in my bedroom Mummy. Image via IStock. Clinical psychologist Candice Alfano told Sleep Review: “Continually experiencing inadequate sleep can eventually lead to depression, anxiety and other types of emotional problems." This comes just weeks after a study that showed having an irregular bedtime can lead to an increased risk of obesity when children grow into adults. The Ohio State University College of Public Health found that bedtimes for pre-schoolers after 9 PM appeared to double the likelihood of obesity later in life. Published in the Journal of Pediatrics it was reported that the majority of young children are biologically pre-programmed to be ready to fall asleep well before 9pm. In fact, it&apos;s hard to find a study that doesn&apos;t recommend a regular consistent - and early - bedtime for children. If only someone would tell that to my lot. In 2013 a study found that seven-year-olds who had inconsistent bedtimes were more hyperactive than kids who went to sleep at a consistent time, they also had more social, emotional and conduct problems. Anyone who has ever taken a sleep-deprived toddler to a shopper centre could vouch for that. Confessions: What mums get up to after their children have gone to bed. Post continues after video. The results also revealed that behaviour grew worse the more years a child spent without a firm bedtime. Dr Carolyn D&apos;Ambrosio, director of the sleep department at Tufts Medical Center and the Floating Hospital for Children in Boston told Live Science the key to making bedtimes easier was routine and consistency. She says to let children know when bedtime is coming. To have a nightly routine that doesn’t change - brushing teeth, bathing, putting on pyjamas, reading a story, dimming lights and allowing children to have a comfort item, such as a stuffed animal but make sure you limiting stimulating distractions, including a TV or iPad. "Pick a bedtime that works for you and your family," she says. "It may not work every night, but just keep trying." Let&apos;s not forget the benefits for a parent. Image via IStock. Dr D&apos;Ambrosio also said that kids should have consistent bedtime schedules, even on weekends and the holidays. While all this sounds like a lot of hard work the good news is children&apos;s behaviour and emotional outcomes improved when they switched to a scheduled bedtime. And we&apos;ll all agree that the emotional benefits to a parent of having a child sweetly tucked away in their own bed are unquestionable! Sleep recommendations: Source: Sleep Foundation. Newborns aged under four weeks should sleep 16 hours a day. Up to the age of 12 months: between 14 and 15 hours a day. Children aged between 1 and 3-years old: 12-14 hours a day. Children aged 3 to 6-years-old: 10-12 hours a day. Children aged between7 and 12: At least 10 hours a day. And those 12 and up can sleep eight hours a day...(until they become teens and you can&apos;t drag them out of bed).